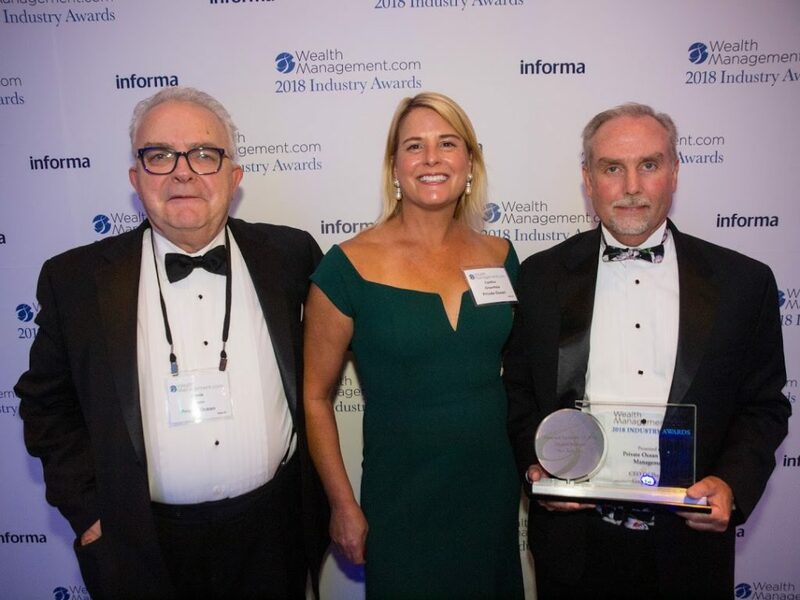 Jamie Green, Cynthia Greenfield and Greg Friedman at the 2018 WealthManagement.com Industry Awards. Private Ocean congratulates Greg Friedman on his recent recognition as CEO of the Year by WealthManagement.com, the leading resource for wealth advisors and planners. WealthManagement.com announced the winners of the 2018 Industry Awards on September 13, 2018 at The Ziegfeld Ballroom in New York City. Read the full release here. Judges presented 67 awards to 59 companies from a pool of 156 finalists. There were 600 entries in total and winners were selected by a panel of eight judges based on quantitative and qualitative measures, including scope and scale and innovation and creativity. Now in its fourth year, the Awards honors outstanding achievements by companies and organizations that support financial advisor success. The awards expanded this year to recognize individual RIA firm leaders—including CEO, innovator, M&A leader and thought leader of the year. We are incredibly proud of Greg and his continued commitment to our clients, our people, and our industry. We thank you for your support and partnership and look forward to a bright future ahead!